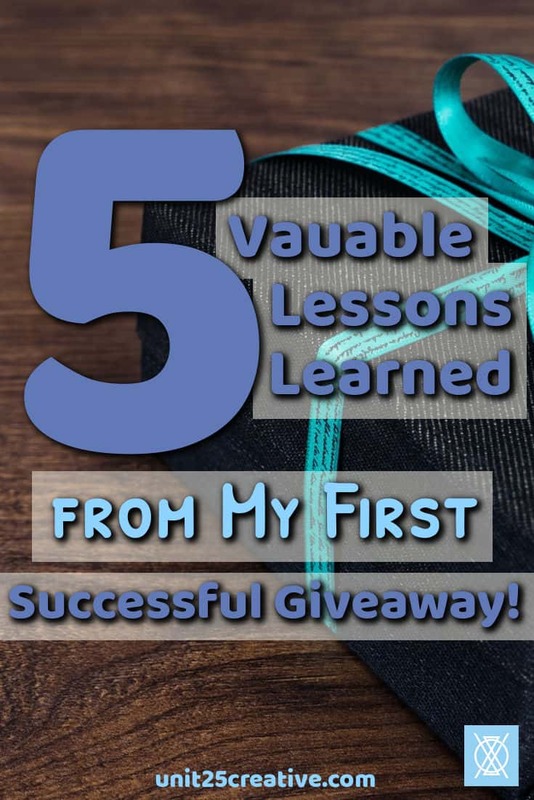 5 Valuable Lessons from My First Successful Giveaway | The Creative Entrepreneurs L.A.B. When you’re launching a new product, service, or site, your number one concern is usually building traffic and followers. Whether you’re already established or just starting out, you know that building your audience is essential! A fun, rewarding way to do this is a giveaway. Don’t let a giveaway overwhelm you! I ran my first big giveaway last year to celebrate my Conquer Your Business Analytics course launch, so I am going to share exactly how I did it, along with the lessons I learned from it. First things first, you need a viral giveaway platform. I chose KingSumo because instead of requiring a monthly fee, I was able to pay once and have lifetime access. They’ve since launched a new version that includes a free account option, though, so I highly recommend checking out KingSumo! Get the Giveaway Copy Cheatsheet, with all of the copy you’ll need for your giveaway! Why do you need a viral giveaway platform? Simple: people need incentives to share. After all, why would you tell your friend Joe Schmoe about this awesome giveaway if it means that it decreases your chance of winning? Using a viral giveaway platform enables you to give contestants a reward for sharing the giveaway, though! The result: people will enter and share in the hopes of receiving the three additional entries that they get every time a referral signs up through their link. They get an ADVANTAGE for sharing now, rather than decreasing their chances. Pretty snazzy! Encourage people to join your giveaway (and your email list) and make it a winner! If you don’t know who needs your giveaway prizes, you’ll have a hard time reaching them. Pro tip: Don’t just say “everyone!” This essentially turns into “no one.” You’ll also end up artificially inflating your email list with subscribers who don’t give a hoot about your products or services. By targeting a SMALLER audience, you can make sure you’re offering what they really need. If your audience is stay-at-home moms, they aren’t going to be interested in career advancement products and services, right? And if you offer a $100 Amazon gift card, EVERYONE has something they want from Amazon, so you’ll get not just your stay-at-home mom audience, but also college students, career-oriented men and women, and everyone in-between. In other words, people who really don’t care about what you have to offer. So trust me: target a smaller audience! If you already have an established audience, start with them. Ask what problems they are experiencing and what kinds of courses and services they wish they could get access to. This will help you determine what your audience is looking for. If they can give you specific names of influencers who they would love to learn from, that’s even better! Start a spreadsheet or list of all of the feedback you receive. If your audience doesn’t give you specific names, start asking around for recommendations. One of the things I did for my giveaway was to create informal ‘polls’ in Facebook groups that my target audience frequents. When possible, I used a Typeform survey link to keep all of the feedback in one place. Get the feedback you need to make your business\’s giveaway a smashing success! Whatever you do, make sure that it’s your target audience that you’re getting these suggestions from! Don’t be afraid to throw out feedback if it seems off or if the person clearly is not part of your target audience. Having a product or service in your giveaway that doesn’t serve your audience is just going to hurt your giveaway. Once you know who and what you’re looking for, you can start approaching potential contributors. These are the amazing people that will be contributing their products or services to the giveaway. Why would anyone give away products or services for free? I know it seems counterintuitive, but it benefits them! See, while they’re giving away their service or, even better for them, a passive income product, they are getting access to new audiences and sales opportunities. When the giveaway is over, you’ll be sending them the CSV sheet of the entrants’ first names and email addresses so that they can add them to their list. 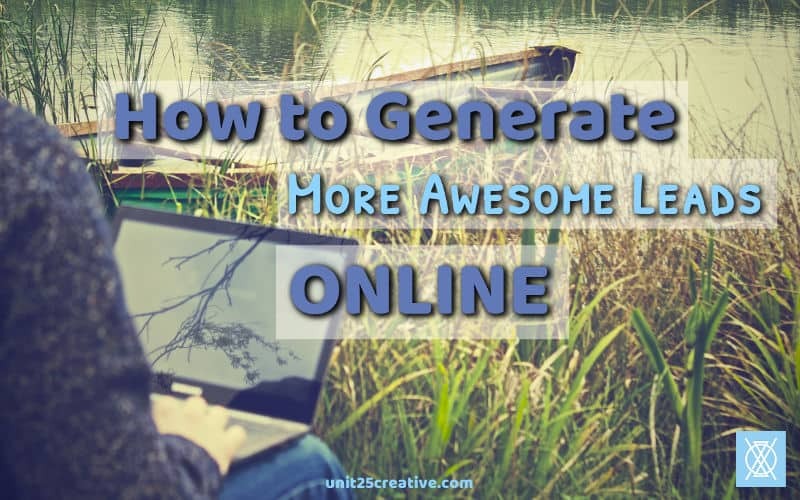 There’s also a secret trick (which I’ll share later in this post) that they can use to generate further sales. Pro tip: If you’re struggling with the wording for your emails to potential giveaway contributors, I have a Giveaway Copy Cheatsheet for you! I have all of the copy that I used for my own giveaway, including the emails to contributors. Grab it below! 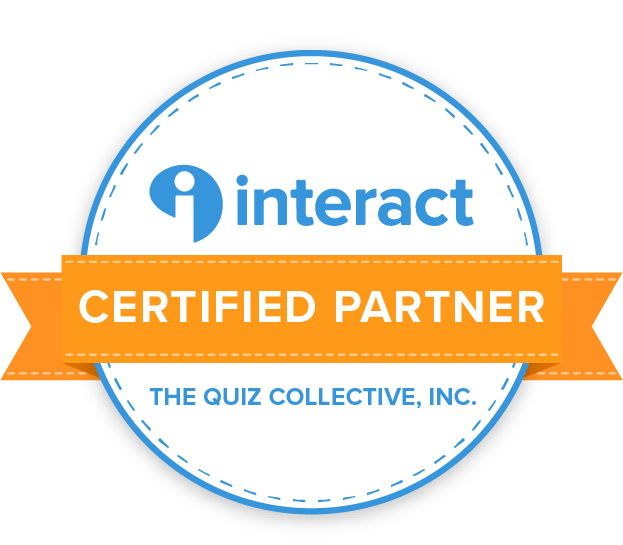 Get the Giveaway Copy Cheatsheet, including the contributor inquiry email template! My biggest tip: make a connection. Don’t just ask them for a free product or service; tell them why you love their content or that someone else enthusiastically recommended them. This will improve your success rate! Oh, and extra pro tip: start with the people that you’re already comfortable with. Maybe they host a Twitter chat that you are a regular at. Perhaps they run a Facebook group that you’re active in. Use that as a baseline for your connection, since they’re more likely to work with someone who is already an active member of their community! Steal the exact email templates you need for a successful giveaway to grow your email list! One of the hardest parts of getting in touch with people is finding their contact info. If they don’t publicly list their email address on their website – more commonplace in this age of spam bots – they likely have a contact form. I prefer to email people directly because you can customize the subject line, but there are alternatives. First, if someone referred them to you, ask if they are subscribed to the influencer’s email list and can give you that email address. Or subscribe yourself, if it’s a topic you’re interested in! This is how I got a lot of the email addresses for my giveaway contributors: being subscribed to their emails already or through someone else. If that fails, find the person on social media. See which account they use the most and direct message them on that platform. If they don’t respond within a few days, either follow up (maybe it got buried) or try a different platform. If you’ve exhausted all of their social media accounts, it’s time for Plan B (well, Plan D by now). The last-ditch effort is the contact form. Unfortunately, emails from contact forms can sometimes get buried and missed, so I wait until I have no other options for this. If they still don’t respond back to a contact form email, just assume that they’re not interested and move on. This is an essential part of setting up a successful giveaway! If you don’t have a giveaway page and preferably a supplemental landing page (for more detailed info), you won’t have anywhere to direct people for entries. If you’re using KingSumo to host the technical side of your giveaway, they make the giveaway page extremely easy to set up. Since that’s the platform I used for mine, I’m going to use it for my examples, but there are many other awesome giveaway platforms out there! The landing page is different from the giveaway page, by the way! The giveaway page should be relatively sparse on details about each prize, to lower the barrier to entry. The landing page is where the prizes and contributors can shine, though! To fill out your own landing page, you’ll want to get bios from each contributor. You’ll link up to their website and social media, to help build their followers, and you’ll give details about the product or service that they are offering as part of the giveaway. While a list of prizes is often enough for to gain interest, it still helps to have a page with more info. Step 6: Start Sharing Your Giveaway! Make sure to create platform-specific shareable images for social media. If you want this to go viral, it would be a huge mistake to skip this step. KingSumo (and any good viral giveaway platform) will offer social sharing as a method to earn additional entries, after all! Don’t forget to give a media package to your giveaway contributors, too. Making it easy for them to share and add to their social media schedules increases the chance that they’ll share. They want this giveaway to be successful, too! Get the word out to your email list and consider giving them a couple days before the ‘official’ giveaway start date, too (e.g. launch the giveaway, but don’t start sharing it until the ‘official’ start date a couple days later). Share in your Facebook groups and Twitter chats (if allowed in the rules, of course). Get creative with your sharing methods! When the giveaway ends, the fun begins! Now you get to choose a winner (your giveaway platform should have an easy method for this). Alert the other giveaway contributors and let them know the winner’s name and email address. Send out the emails to your contributors BEFORE sending the email to the winner, but send out your announcement to the winner right after that, to ensure they receive your email first. Let them know that everyone else will be sending them the additional prizes soon, though! Get the Giveaway Copy Cheatsheet, including the announcement email template! Don’t forget to ask your contributors to let you know when they have emailed the winner (or CC/BCC you on the email) so that you know who has or hasn’t sent out their prize. Oh, and the secret bonus tip! Suggest that the contributors send out an email to all of the non-winners, to let them know that while they didn’t win, they still get a bonus: a discount on the service or product that was offered in the giveaway. This boosts sales and gives extra value to not only the contestants but also your contributors! When this was suggested to the contributors for my giveaway, this increased their excitement about the giveaway. Get the Giveaway Copy Cheatsheet, including the bonus discount email template! I made a mistake: I waited until the last minute. There were too many things being juggled for the Conquer Your Business Analytics course launch and I let the giveaway wait until the end. Oops! When you get ready for your giveaway, start approaching contributors at least two or three weeks before it is scheduled to open for entries. I scrambled to gather my contributors until a week or week and a half before the giveaway started, and it hurt me. I still ended up with an INCREDIBLE roster of contributors, but I was definitely running around like a headless chicken for a while. Don\’t make the same mistakes Jenn did when creating her first giveaway. It can be intimidating to contact someone with ‘celebrity’ status, even if it’s minor. But don’t let that stop you: they’re human too! We all like to know that people admire us and want to work with us. Keep in mind that, depending on how ‘big’ they are, they may not be able to collaborate. Honestly, the only No’s I received were the ones I expected, from people who were already too popular to be interested in a smaller giveaway. BUT I also got some Yes’s that I didn’t expect! It never hurts to ask, and if you are desperate for that extra ‘brand name’ recognition, you can always purchase their product to add to the giveaway. (Just remember to add a disclaimer that they are not affiliated with the giveaway.) I did this with Mariah Coz’s funnels course*, and the Femtrepreneur team was happy to work with me to get the course to the winner. This will save you SO much time. I have my domain email addresses routed to a single Gmail inbox, so I was able to use their Canned Email option (found in the Lab in Settings). Saving those emails and personalizing them before sending, rather than writing them up from scratch every time prevented many a headache! I wish I had been better about this for my own giveaway. While I did send sharing media to the other giveaway contributors, I was lackadaisical about what I wanted from them. I didn’t want them to feel obligated to share like crazy, but that’s silly! The more everyone involved shares, the more likely it is that the giveaway will go viral and benefit all of us! When you send your own giveaway sharing media, I would recommend approaching it from that angle. Your contributors shouldn’t spam their audience, but it’s in their best interest to share as much as they’re comfortable with, and it’s okay to remind them of that! 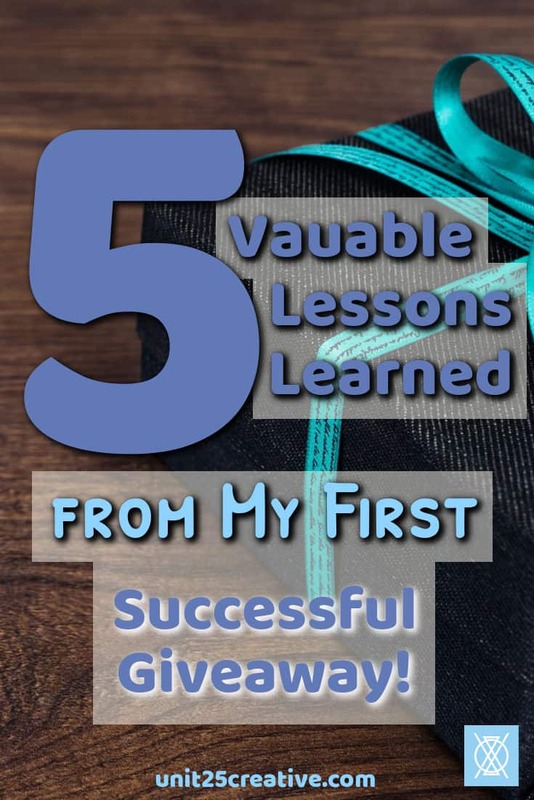 5) Be open to the opportunities that your new connections can yield! One of the coolest things that came out of my giveaway was the connections I made. Allison Marshall over at Wonderlass was a contributor for my giveaway and asked if I would be interested in contributing to HER giveaway! 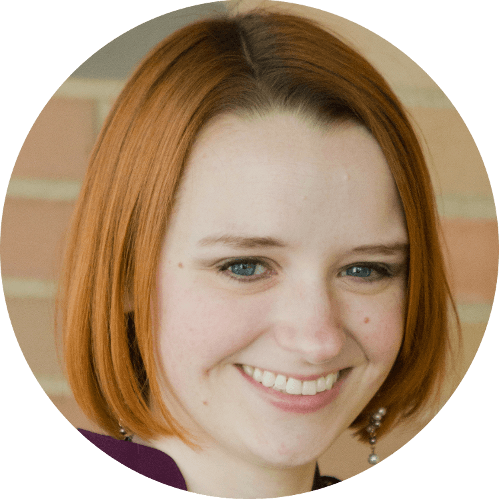 The results quadrupled my email list, and she highlighted my giveaway in one of her webinars-turned-course-lesson. That would never have happened if I hadn’t gotten the guts to ask an awesome big name blogger to be part of my giveaway! 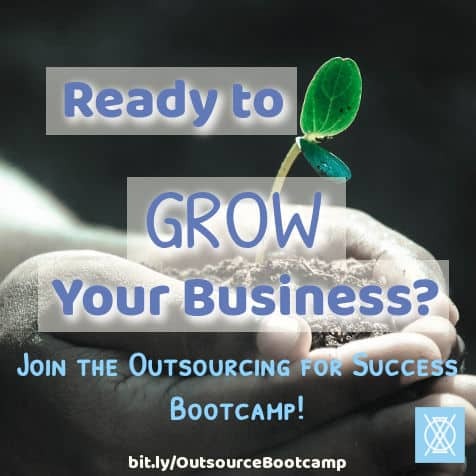 Other opportunities came up because of the giveaway, including joint webinars and other collaborations. I hadn’t expected any of them, and that made it so much better. You’ll probably be surprised at the opportunities that come up for you! Have further questions about giveaways? Want to share your results (especially the surprise opportunities that pop up!)? I want to hear them! Comment below or email me at hello@thecelab.com – I might be compiling a follow-up post with additional questions and reader results, and you could be part of it!